Having spent the start of 2017 locked away with renowned producer Bruce Rintoul (Twin Atlantic, Fatherson), Only Shadows have released a brand new track, "Escape", which can be seen below. 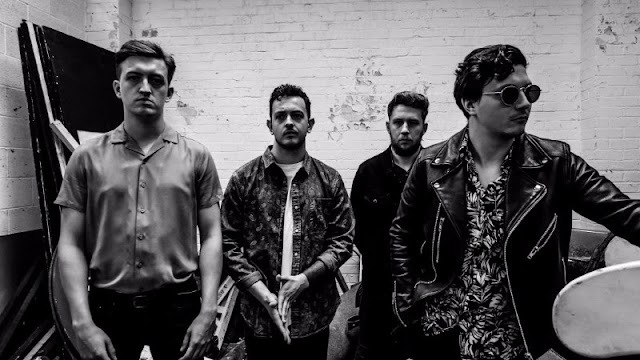 Their previous single went onto great things with Spotify adding the track to huge playlists including the 'Rocked' & 'New Noise', with the track even topping the Free 40 Indie charts in Holland, beating the likes of Morrisey & Foo Fighters to the top spot! Frontman Nick Ashby explains "The song came from frustration & anger of the repetition of life, maybe coming from a small town has led to those feelings. It's about getting out of it and doing something about it, not taking no for an answer".